Comment: Looking to add a 30 x 12 slab in the rear of my garage. It is already indoors with a stemwall. Comment: 360 aft driveway. Need concrete driveway removed and hauled away. Replace with concrete pavers. Comment: Replace current concrete driveway, approx 700 square feet. Comment: Looking to installed stamped concrete to replace my existing driveway and walkway. looking for a pattern that will match the style of the house. interested in options. 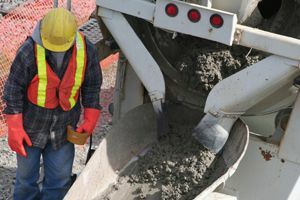 Castro Valley Concrete Contractors are rated 4.67 out of 5 based on 661 reviews of 39 pros. Not Looking for Concrete Contractors in Castro Valley, CA?